A general model is presented for coupling of high-Q whispering-gallery modes in optical microsphere resonators with coupler devices that possess a discrete and continuous spectrum of propagating modes. 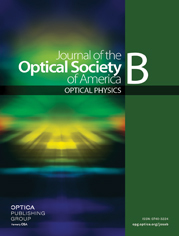 By contrast to conventional high-Q optical cavities, in microspheres the independence of high intrinsic quality-factor and controllable parameters of coupling via an evanescent field offer a variety of regimes similar to those that are already available in rf devices. The theory is applied to data reported earlier on different types of couplers to microsphere resonators and is complemented by the experimental demonstration of enhanced coupling efficiency (∼80%) and variable loading regimes with Q>108 fused-silica microspheres.